Results of the Europa League Quarter Final & Semifinals. Napoli vs Arsenal, Slavia Prague vs Chelsea . 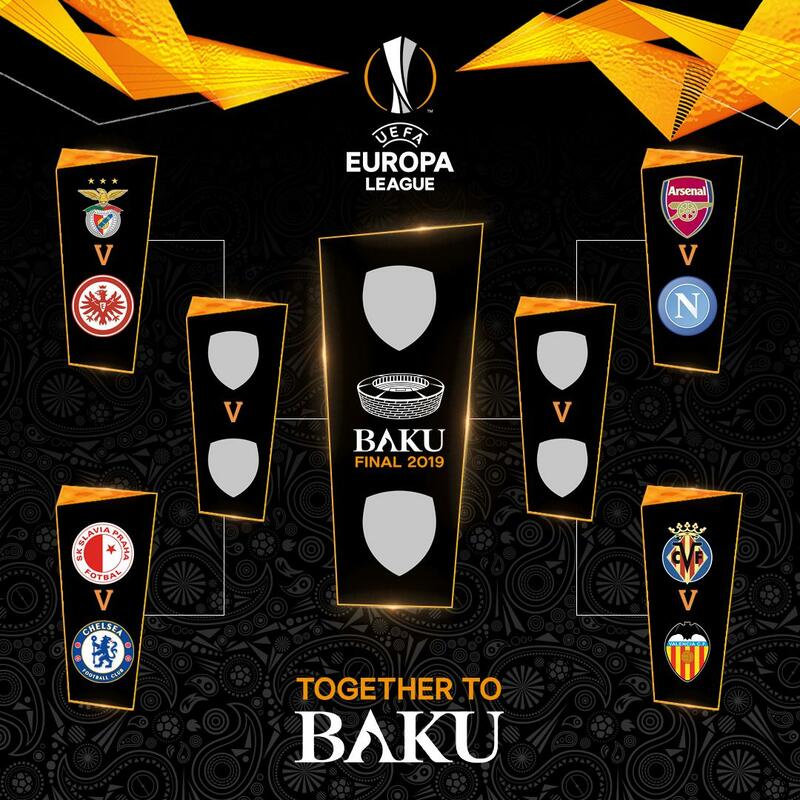 The draw in the quarterfinals of the Europa League (UEFA Europa League) was held at UEFA's headquarters in Nyon, Switzerland, Friday (3/15/2019), shortly after the Champions League drawing. 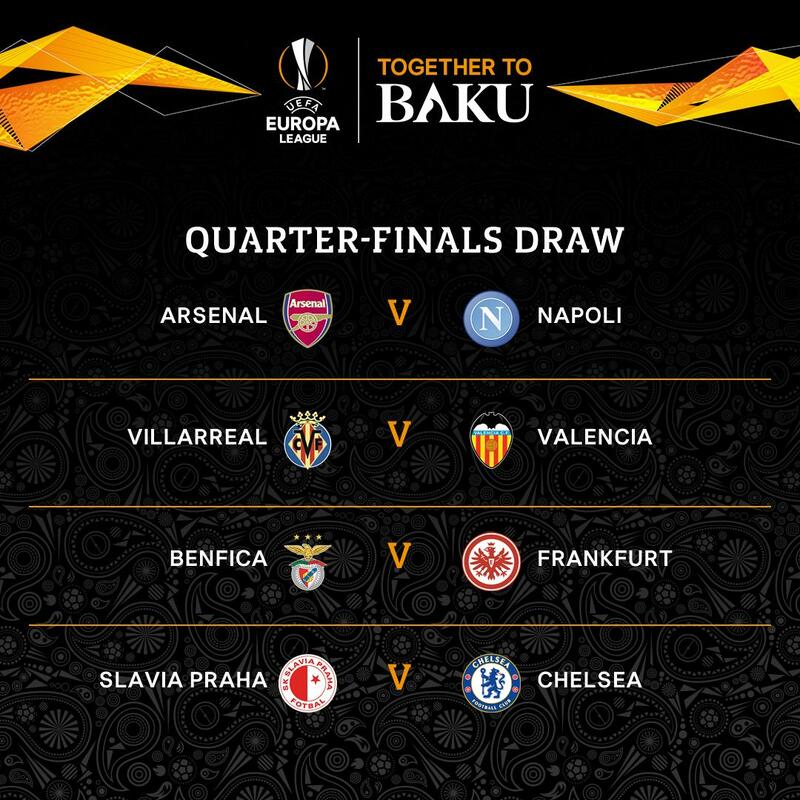 The result, Arsenal face Napoli, Chelsea vs Slavia Prague, Villarreal vs Valencia, and Benfica vs. Eintracht Frankfurt. The first leg match is scheduled for April 11. While the second leg was held on April 18, 2019. Lottery was also held for the semifinals. The result, Napoli / Arsenal vs Villarreal / Valencia and Benfica / Frankfurt vs Slavia Prague / Chelsea.